More than 150 women lined up on a New York City street on Wednesday to take a "fertility test" inside a yellow-and-white branded van. To promote the launch of the company, startup Kindbody drew their blood for an anti-mullerian hormone test, which does not predict overall fertility but can be a useful measure for the outcome of IVF and egg freezing. Kindbody offered to send the test results via a secure email seven days later. 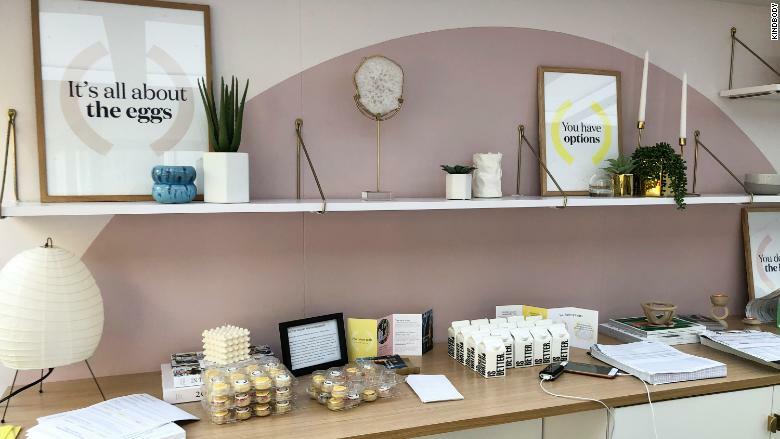 The new women's wellness startup provides follow-up consultations and offers treatments such as in vitro fertilization, known as IVF, and egg freezing, at its midtown Manhattan brick-and-mortar location. The women, who ranged in age from 20 to 55, climbed into the Kindbody van to learn more about their options for conceiving. "I've thought about egg freezing, but I've never looked into it," said Kenya Noel, a real estate-agent who decided to visit the van as she walked by. In her late 30s, Noel -- who has a 15-year-old son -- said she's curious to see what her odds are for having another child in the future. Another woman, who asked to remain anonymous, said she and her husband have started to discuss family planning. "With fertility, it seems like people wait to see if there's a problem [conceiving]," the 29-year-old told CNNMoney. The idea of taking a test was intriguing, she said, because even if she's able to conceive naturally for a first child, she may need to think ahead about a second or third. However, experts caution anti-mullerian hormone (AMH) tests aren't a good predictor of a woman's fertility. "It really has little implication for most women," said Dr. Anne Steiner of Duke Fertility Center, noting it tests for egg count and does not predict how easy or hard it is to get pregnant. She added that testing for it, without cause, may cause unnecessary stress and anxiety about fertility. Steiner's research, published last year, found biomarkers, such as the anti-mullerian hormone thought to be associated with diminished ovarian reserve, were not directly related to reduced fertility. 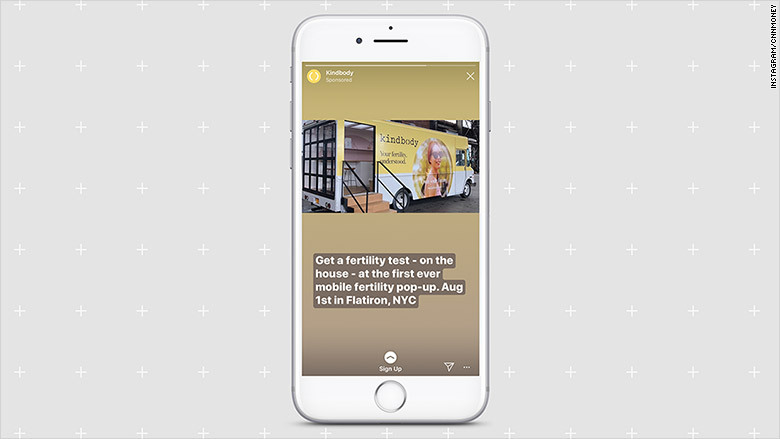 Joanne Schneider, Kindbody's head of product, said the vision behind the van is to make it easier and less intimidating for women to start the conversation about fertility. "We've been intentionally clear that this is not some binary 'Are you fertile? Yes or no' test," she said. "Your 'fertility' is based on many factors that never land at a yes or no answer." KindBody ran an Instagram campaign to spread awareness of the one day pop-up truck. Outside the van, founder Gina Bartasi greeted women. Known in the fertility space, Bartasi previously founded a company called FertilityAuthority in 2009 to help educate women having trouble conceiving. It ultimately merged with life sciences firm Auxogyn, and was renamed Progyny, where she served as CEO until she left over one year ago. 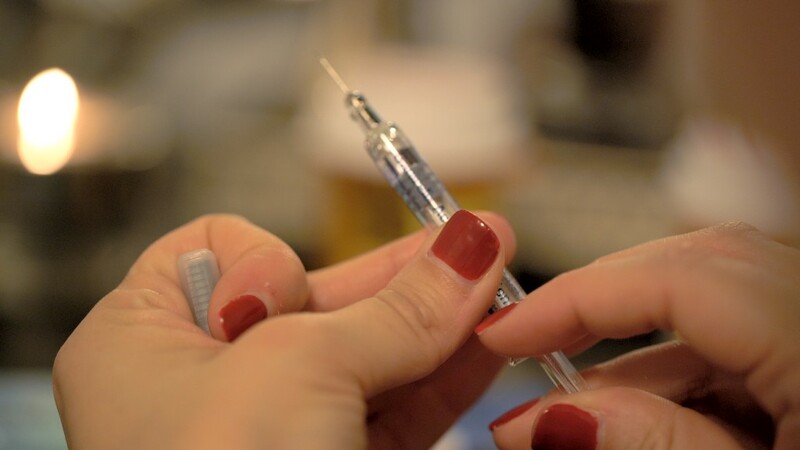 In 2014, FertilityAuthority spawned parent company Eggbanxx, a fertility clinic network, known for hosting "egg freezing parties" with booze for women to learn more about the process. Eggbanxx helped to break the stigma around egg freezing -- something Bartasi said has come along way. Bartasi plans to eventually roll out a greater range of health services, including mental health and gynecological services. Dr. Fahimen Sasan, an obstetrician-gynecologist affiliated with Mt. Sinai, is the startup's first clinical hire. The company plans to start accepting insurance starting next year. "The stigma is gone -- we're not chasing women anymore," said Bartasi. "The biggest thing is to raise awareness about diminishing ovarian reserve. No two women are the same." Dr. Christos Coutifaris, chief of the reproductive endocrinology and infertility division at University of Pennsylvania's Perelman School of Medicine, said not every woman needs to get their AMH tested. Although he's generally supportive of increased access to fertility services, he said tests that may not be appropriately predictive of fertility could add costs to the healthcare system for women who may not actually need or want egg freezing or IVF. Egg freezing can cost $12,000 to $20,000 for a single round of treatment, which doesn't always produce enough eggs. That's in addition to what women may later pay for IVF, which costs between $10,000 and $15,000 for one round. Women who have taken proactive fertility measures report mixed feedback on their decision to do so. According to a recent study conducted between 2012 to 2016 by researchers at UC San Francisco, one in six women who proactively froze their eggs for non-medical reasons became regretful after undergoing the process for various reasons, such as lack of emotional support or not having a lot of eggs retrieved. "Although this study doesn't reveal all the reasons behind regret, this is a critical finding, and we have followup studies underway to better understand what women are going through," study co-author Dr. Eleni Greenwood, an obstetrician-gynecologist at UCSF said in a statement. "What is clear is that egg freezing is more than just your standard insurance transaction for many women." Kindbody has attracted attention from investors and already raised several millions of dollars in seed funding, according to Bartasi. "We're leaning into the women's movement and putting the women back in women's healthcare," she said. Its main competitors -- Spring Fertility and Prelude Fertility -- are both founded by men. (Prelude Fertility is now run by a female CEO). Halle Tecco, an active startup investor and cofounder of health tech fund Rock Health, is an investor in Kindbody. "Our needs are currently unaddressed by the healthcare establishment," said Tecco, who has been vocal about her own fertility struggles. Kindbody's van is gearing up for a tour. It will visit the Hamptons in New York on Sunday and San Francisco in the coming weeks.